A new “Harry Potter and the Deathly Hallows” posters has been released, and it’s…well, really dark. 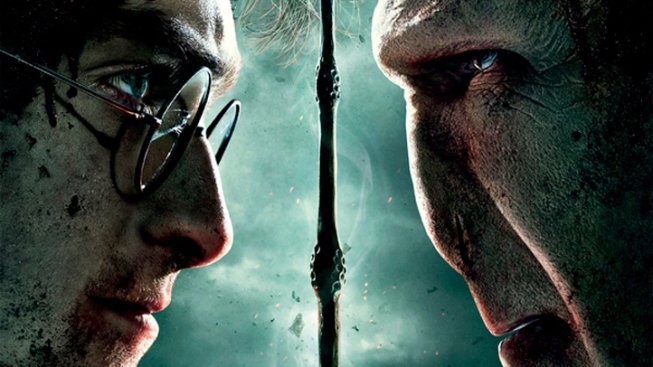 The poster shows Harry Potter (Daniel Radcliffe) and the evil Lord Voldemort (Ralph Fiennes) face to face in the final duel. As the MTV Movies blog notes, the poster is noticeably missing the vast ensemble cast of posters past (Ron! 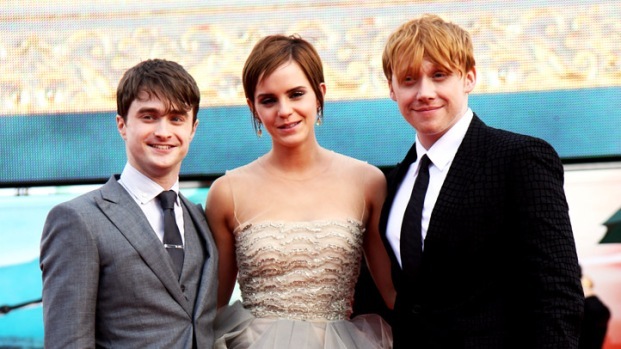 Hermione!) and reminds us of the original intent of the Harry Potter story—good versus evil. Love over blind hatred. And, maybe good grooming habbits prevail over the not-so-good? (Look at Voldemort's thumbnail and you'll see what we mean). 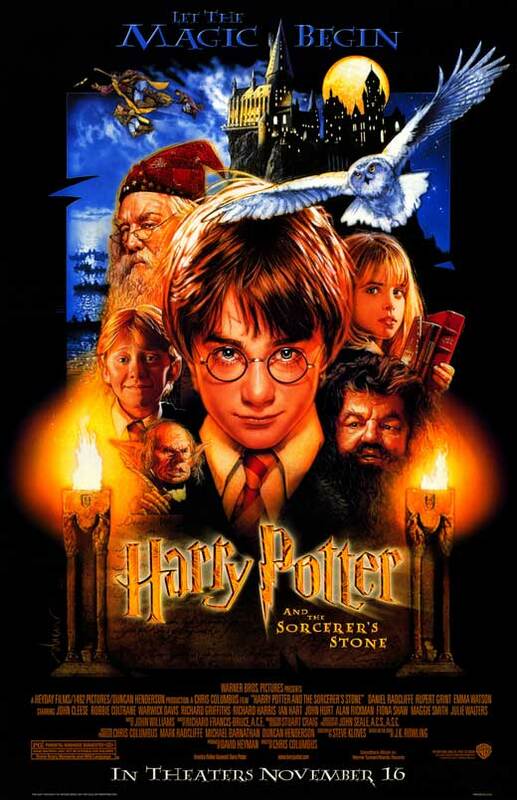 It’s hard not to notice the poster’s harsh gloom, or that both Harry and Voldemort are covered in a considerable amount of blood. It just goes to show that the film adaptations, much like the books, matured and have grown from the child-like world of wonder painted in the first poster. The action comes into theaters July 15th.